New coupon alert! 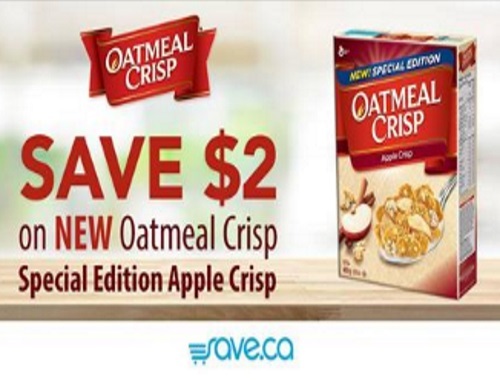 Save.ca has a new coupon for $2 off new Oatmeal Crisp Special Edition Apple Crisp! This coupon is available via mail or print at the link below.